Found nowhere else on earth, Gollum galaxias are solely found in the Southland and Otago regions. Their remaining populations are found in less than 40 hectares of habitat. The Gollum galaxias is one of Otago’s remarkable galaxiid species. As its name suggests, with their large eyes these fishy critters bear a striking resemblance to the infamous ‘Gollum’ from the Hobbit and Lord of the Rings series, after which they are named. Gollum galaxias are distributed throughout Southland with population strongholds present in the Mataura, Oreti, Waiau, Aparima, Catlins and Owaka rivers. 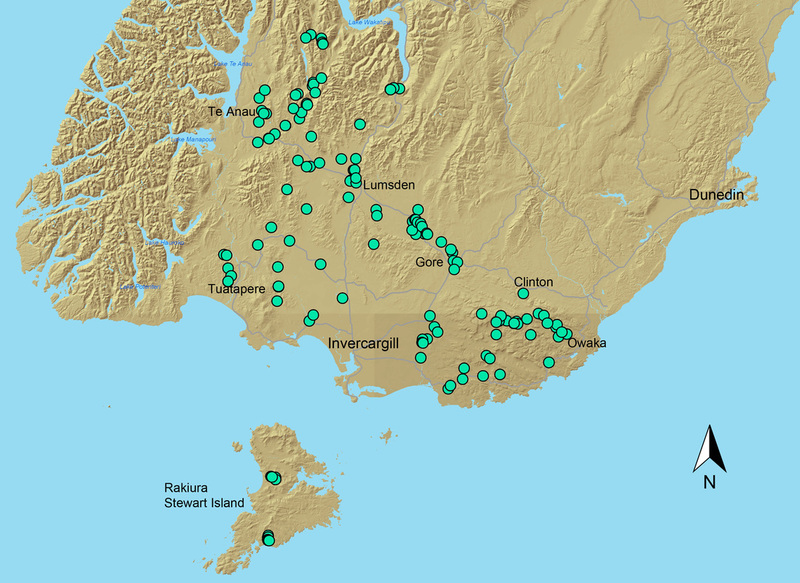 Incredibly, some populations can even be found on Rakiura/Stewart Island, thought to have distributed there during the Pleistocene ice age when a land-bridge was present at lower sea levels. This unique species is fast disappearing though, classified as At Risk: Declining. Gollum galaxias are characterised by their short stocky bodies, large eyes and blunt rounded snouts. Their bodies are grey to olive green in colour and covered in dark brown splotches or speckling. On some individuals their patterns can be disjointed down the centre of their backs and can appear like mis-matched wallpaper. They look like they’ve been dipped in gold metallic dust. Gollum galaxias are pretty cryptic and often go undetected by day, hidden amongst the gravels and cobbles. They typically grow to 70mm in length but can get up to 140mm at their largest. They spawn in spring from late August - October, laying tiny 2mm eggs in small ‘caves’ under boulders in streams. Gollum galaxias feed on small stream invertebrates such as mayflies and stoneflies. 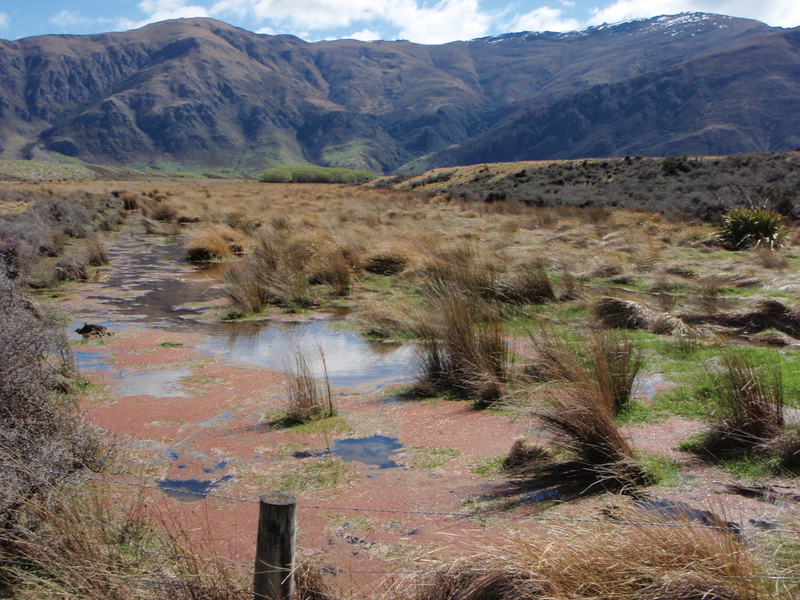 Gollum galaxias can be found in a wide range of habitats from lowland wetlands near sea level to small headwater streams in high country tussockland up to 1100 m above sea level. They can be spotted in the slower margins of water ways, lurking in ponds or ditches amongst aquatic plants or woody leafy matter. Their main threats are due to habitat loss from land development and water abstraction and being eaten by introduced fish species such as trout. 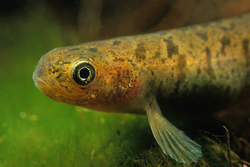 Gollum galaxias are particularly susceptible to trout predation, and for this reason their remaining populations are often only found above waterfalls or other barriers which have stopped trout or other native species from getting in to make a meal out of them. 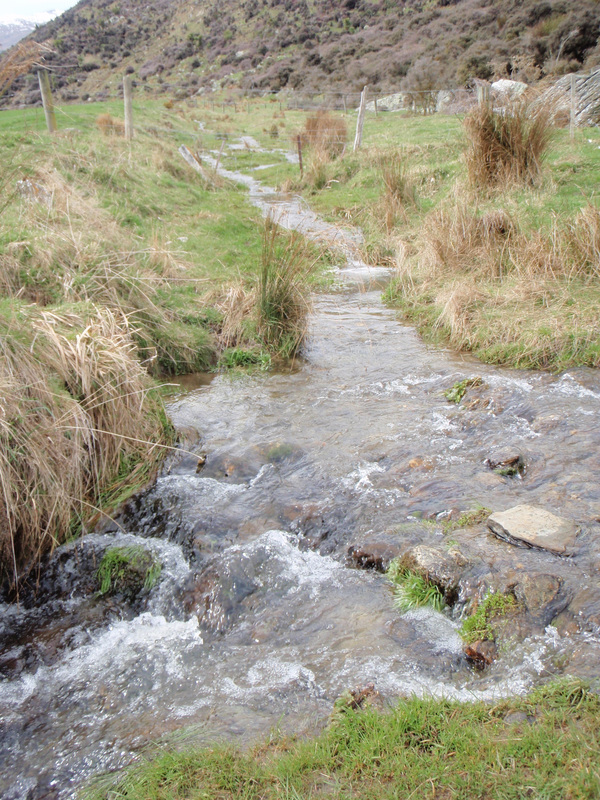 Land-use change in the form of stock access to streams, reduction of native vegetation, land development and forest harvesting have been found to impact on streams and the species within them by increasing sedimentation, changing natural flows through water abstraction and reducing the amount of habitat available to galaxiids to spawn.